We just put in a order for what could be one of the coolest looking cutters on the planet. Update: We checked out the cutter and give it a 10 for the cool look of it. However, we have to leave it at that. It just came up short (no pun intended) when it came to using it. It just can’t seem to handle that very last part of the cut – leaving the user with trying to re-cut it or end with a slight tear – neither of which are acceptable in our opinion. 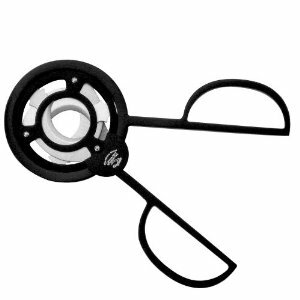 If you want to check it out for yourself, you can find the Cuban Crafters 3 Blade Cigar Cutter at Amazon for a decent price. Just know that we think it will end up on your shelf as a conversation piece more than see actual use.